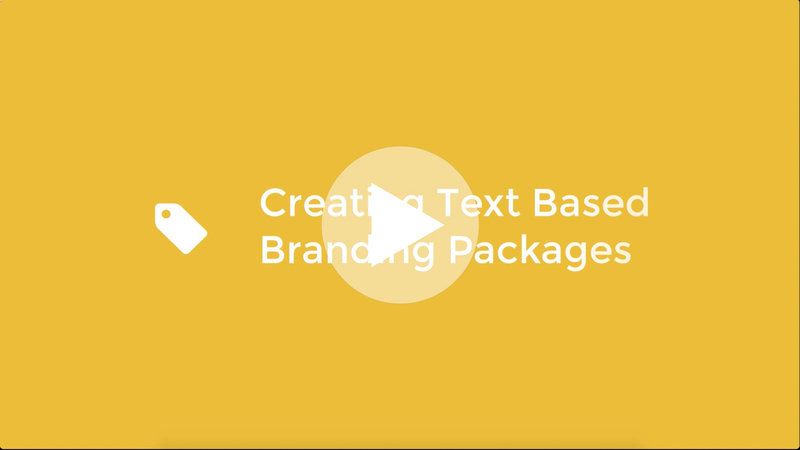 Text Based Branding Packages allow you to add text to a player instead of uploading a logo image. The text can have a link attached to it so you can send viewers to your desired URL when they click on the link. This is great if you want to send your viewers to your website or promote specific links such as a product page. You may also create multiple branding packages and use them with separate media or entire playlists. This adds great flexibility especially if you work with multiple clients that require separate branding. For more information please visit our Player Branding information page. To create branding packages for your videos you will need to go to the Settings tab. This will open the Branding Setup Panel on the right. Here we can give our Branding package a name. For example: YourCompany. Under Branding Type choose Text which will display your brand as a text based overlay on the player. Under Text to be displayed enter our desired text that the viewer will see in the player For example YourCompany. Your new Branding Package is now located with the other Branding Packages.